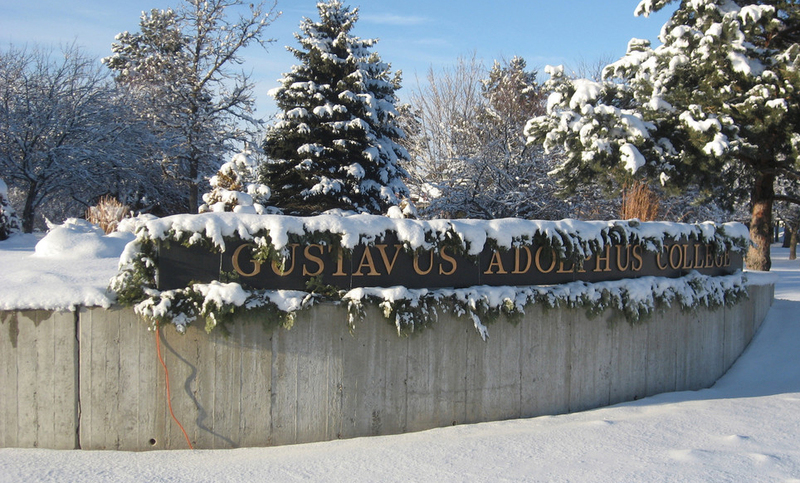 CLOSED: Gustavus to Reopen Thursday at 10:30 a.m. Classes are canceled and the College is closed on Wednesday, January 30. Limited services will continue. Due to deteriorating weather conditions and extreme cold, Gustavus will be closed on Wednesday, January 30 and will reopen at 10:30 a.m. on Thursday, January 31. The College will continue to monitor the weather and communicate any additional changes to the campus community. On Wednesday, all classes are canceled. The cafeteria will be open from 8 a.m. to 7 p.m.; the Folke Bernadotte Library will be open 10:30 a.m. to 6 p.m.; and Lund Center will be open from 10 a.m. to 6 p.m. Campus Safety will continue to operate Safe Rides from 7:30 a.m. to 1 a.m. through Friday, February 1. Employees whose role may require them to be on campus (Dining Service, Custodial, and Facilities/Grounds Crew in particular) should discuss staffing needs with their supervisors. Please keep a close eye on the weather and make safe, appropriate travel decisions if you need to drive. Dress in several layers of loose, warm clothing rather than a single layer. Air trapped between the layers of clothing acts as insulation against the cold. Wear windproof and waterproof outer garments to protect against wind, snow and rain. Choose undergarments that wick moisture away from your skin. Wear a hat that fully covers your ears. Heavy woolen or windproof materials make the best headwear for cold protection. Wear mittens rather than gloves, which provide better protection. Watch for signals of frostbite. Early signs of frostbite include redness, prickling, and numbness. Plan to protect yourself. When traveling in cold weather, carry emergency supplies and warm clothing in case you become stranded. Don’t drink alcohol if you plan to be outdoors in cold weather. Alcoholic beverages cause your body to lose heat faster. Eating well-balanced meals and drinking warm, sweet drinks, such as hot chocolate, will help you stay warmer.